Strategic Five Marketing believes that Newcastle is the best place for business and start-ups. Following the news that two entrepreneurs from Australia and Germany have expanded their businesses into Newcastle, local business Strategic Five Marketing expresses how the city's flourishing business hub is rapidly growing. 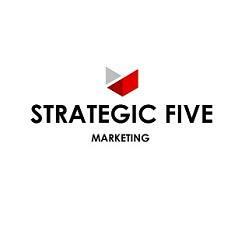 Strategic Five Marketing is an outsourced sales and marketing firm based in Newcastle. As direct marketing specialists the firm develop and implement unique marketing campaigns on behalf of their clients' brands. The firm believe that personalisation is the key to improving brand loyalty and therefor represents their clients through face-to-face marketing techniques in order to encourage long-lasting and personal business relationships between brand and consumer. This often leads to increased customer acquisition, brand awareness and brand loyalty for their clients. Australian technology company Panalitix has announced it is creating jobs after choosing Newcastle as its first UK base. With headquarters on the Gold Coast, Panalitix is part of the global app community that is capitalising on the move to cloud technology and specifically online bookkeeping. Founder of the firm, Rob Nixon stated, “Newcastle is the perfect home for Panalitix as the North East is fast becoming the lead UK region for technology innovation." Alex Jacobs, founder of Northern Secrets, a firm which creates bespoke holidays to the North East for individuals or groups, was born in Germany and moved to Newcastle to pursue further education. Jacobs became the youngest person in the UK to gain the Blue Badge, the UK's highest guiding qualification for tourism professionals. The business owner stated, “It was always my dream – the idea for Northern Secrets came way back when I left school in Germany in 1999. I always knew running my own company was my aim in life and bringing visitors to Northern England was my intention." Strategic Five Marketing believes that Newcastle is the best place for business and start-ups. Having recently expanded to Newcastle from Liverpool, the firm knows what attracted them to the areas is also attracting fellow business owners. Newcastle is a thriving hub of business innovation and success. With more and more start-ups choosing Newcastle as their main headquarters, along with many businesses from across the UK and around the world choosing to expand into the region, Strategic Five Marketing believe that this will only continue to grow. The firm are confident that Newcastle is a great choice for entrepreneurs and their businesses. * For more information regarding media usage, ownership and rights please contact Strategic Five Marketing.